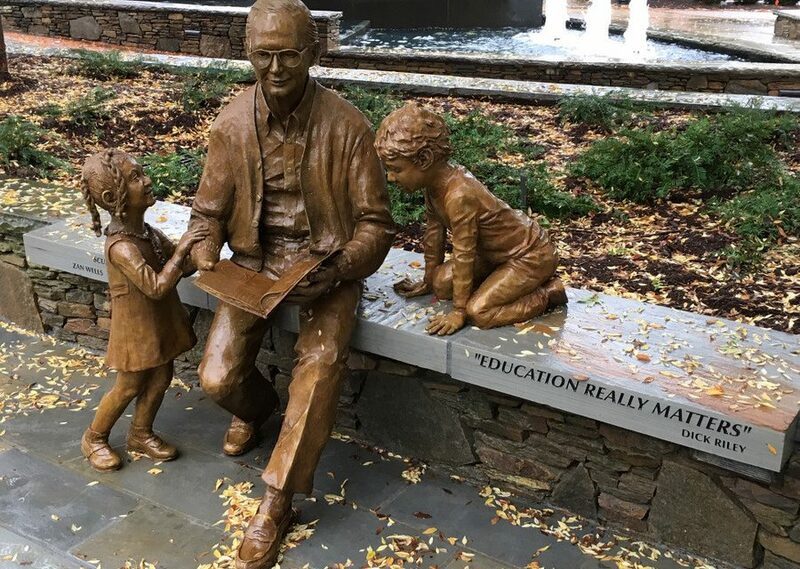 This statue collection in the Peace Center plaza commemorates Richard W. Riley ‘54, who served as Governor of South Carolina and U.S. Secretary of Education under President Bill Clinton. 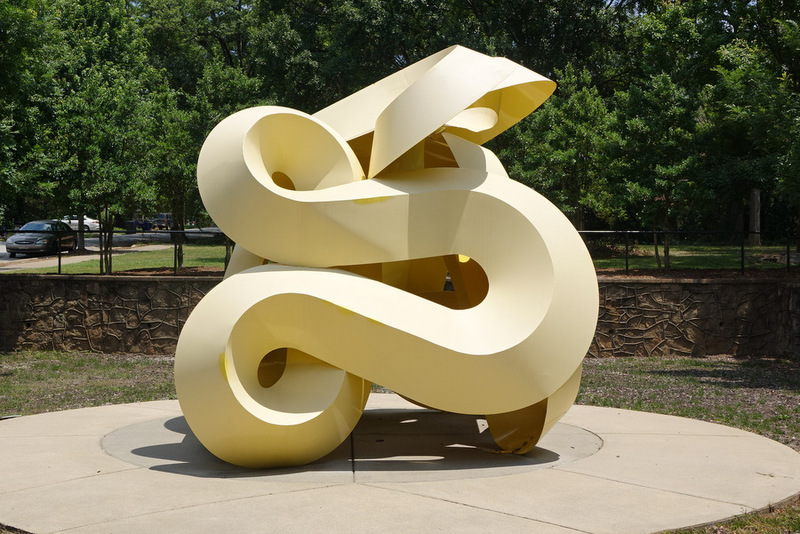 This sculpture “Untitled” by Joel Shapiro is in Falls Park overlooking the falls. 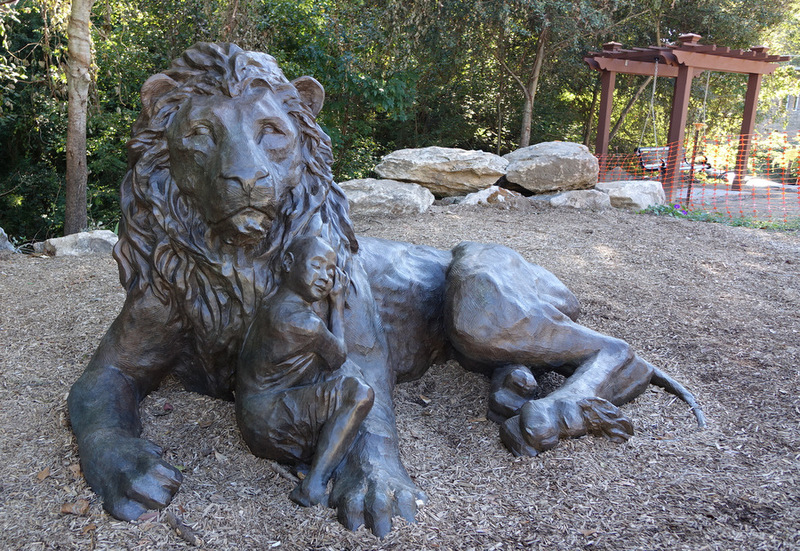 The sculpture “Aria” by Michael Jacobsen in the Waco F. Childers Jr. Sculpture Garden on East Stone Avenue. 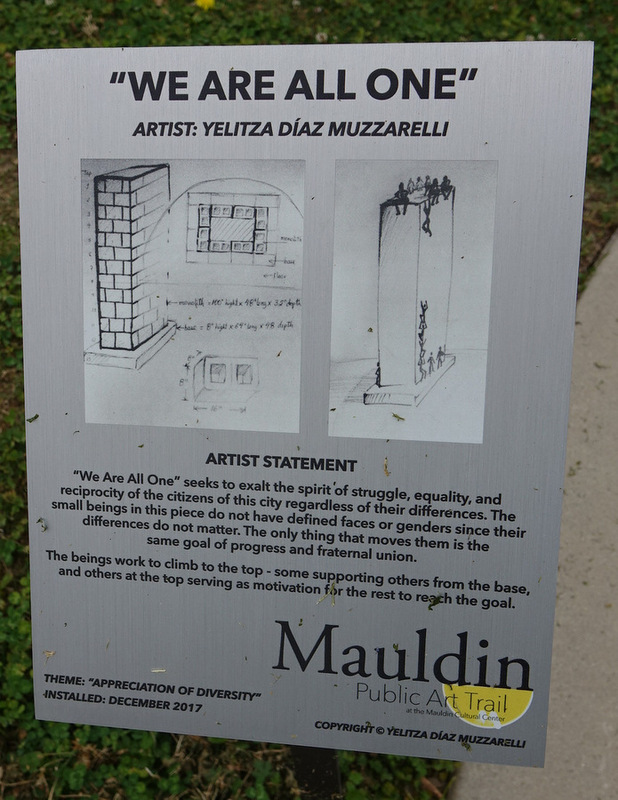 This sculpture by Yelitza Díaz Muzzarelli is located on the Mauldin public art trail. 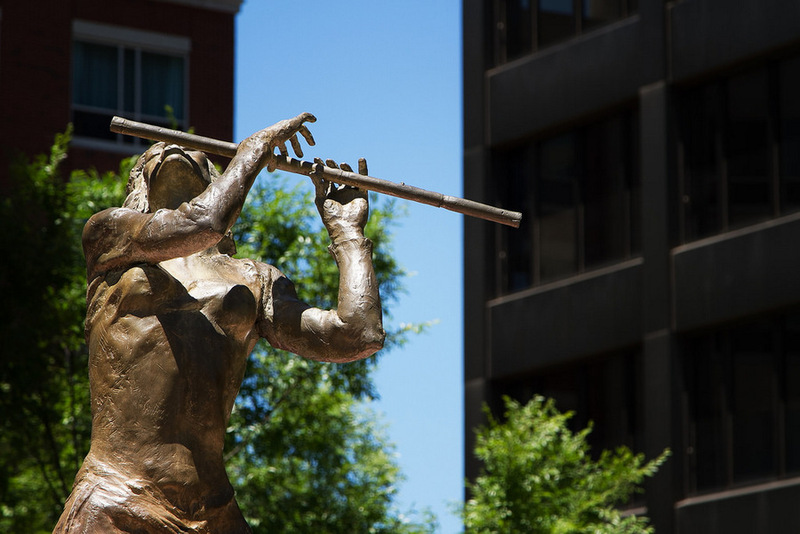 It embraces the theme “Appreciation of Diversity,” exalting the spirit of struggle, equality, and reciprocity of the among humans regardless of their differences. 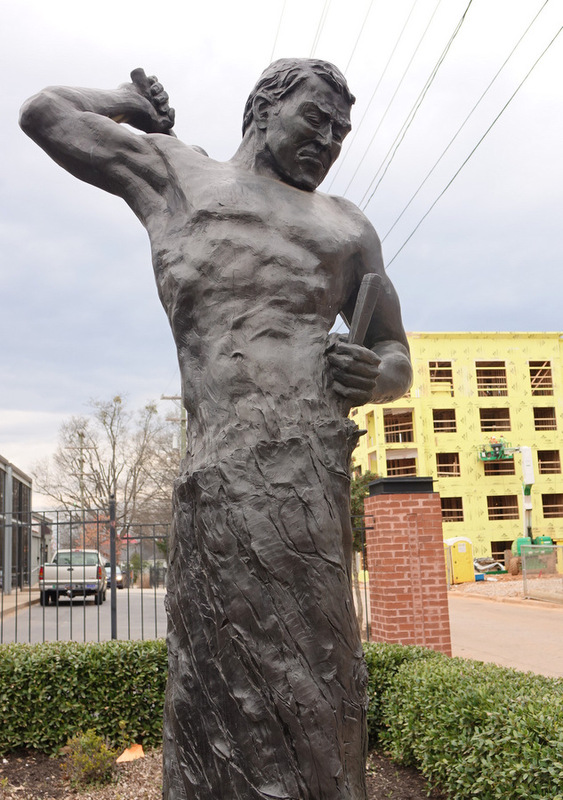 The Regenesis Statue by Charles Pate jr. is on the corner of South Main St and Perry Avenue. 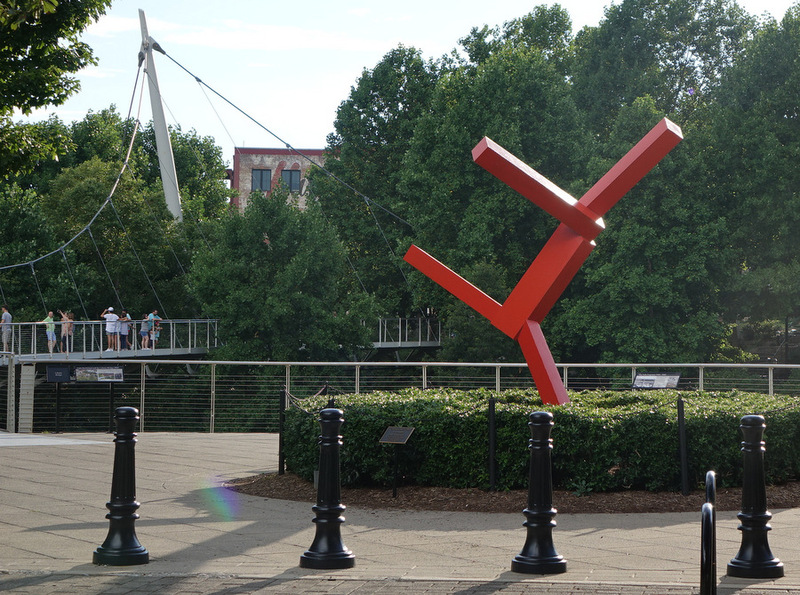 It represents the way Greenville is re-creating itself from a former textile powerhouse. 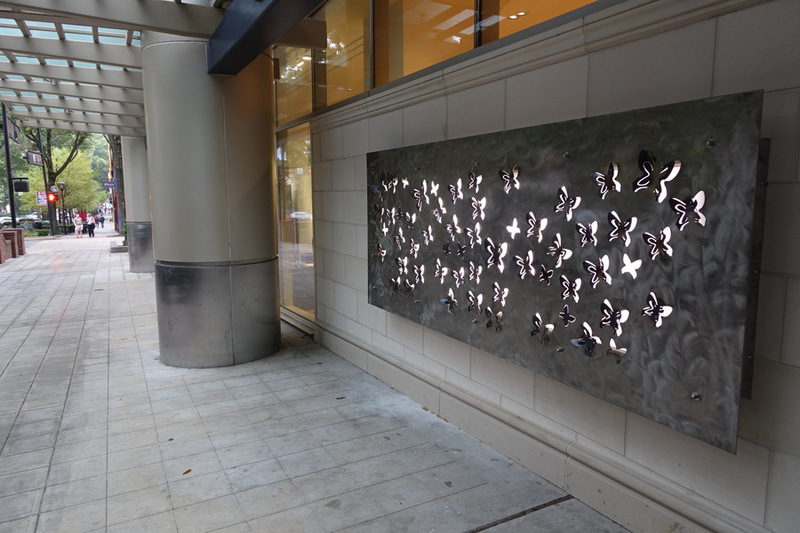 This sculpture of steel butterflies by Yuri Tsuzuki is located on the One Main Street building. 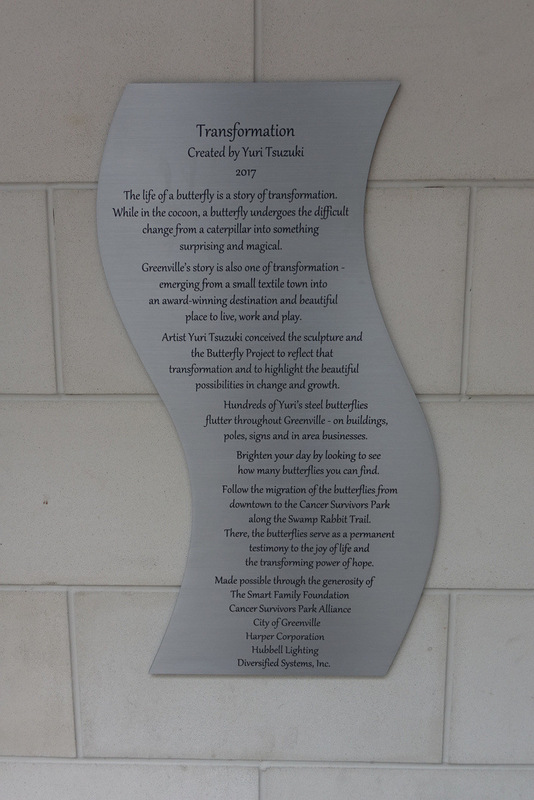 There will be a collection of butterflies migrating through town all the way to Cancer Survivors Park. 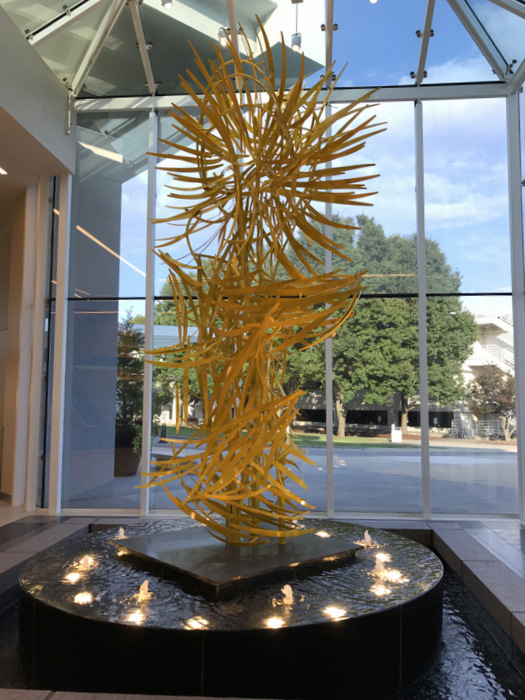 The sculpture Waterfall of Light by sculptor Dimitar Lukanov is on display at the GSP Airport. 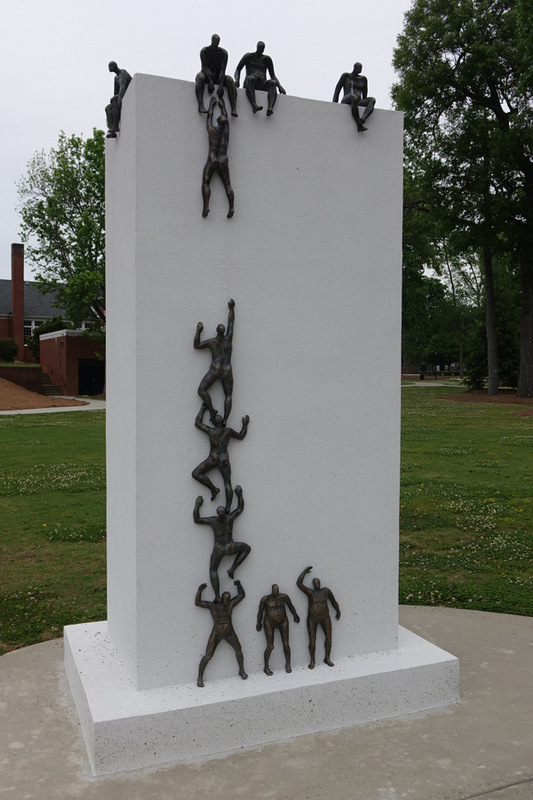 A new piece of public art, the “Swamp Rabbit” has been installed near the main intersection in Travelers Rest, donated by the TR High School class of 1954.